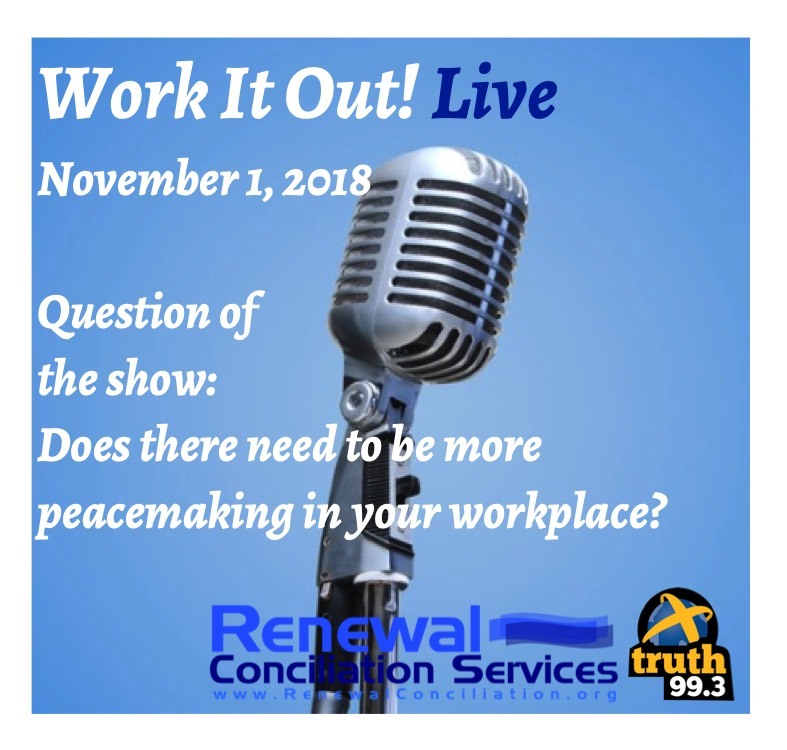 This week's show discussed the topic of peacemaking in the workplace. Guest co-host Jason Sturm, owner of The Edge Pro of Ankeny joined Maxx on the show. The call-in Question of the Week was: “Does there need to be more peacemaking in your workplace?” Romans chapters 12 and 13 were discussed. Material was discussed from the “Resolving Conflict Steps” education module, used by permission of Judy Dabler of Creative Conciliation. The show was sponsored by Jetberry Farms of Carlisle (website) and Lil’ Brother Construction of Des Moines (website).